The Art and Objects Collection at Mystic Seaport represents more than 75 years of collecting and reflects the extraordinary scope and significance of America’s relationship with the sea and inland waterways. The collection includes American maritime art, ephemera, nautical instruments, ship models, scrimshaw, industrial fishing gear, furniture, whaling implements, and myriad tools from the various maritime trades. 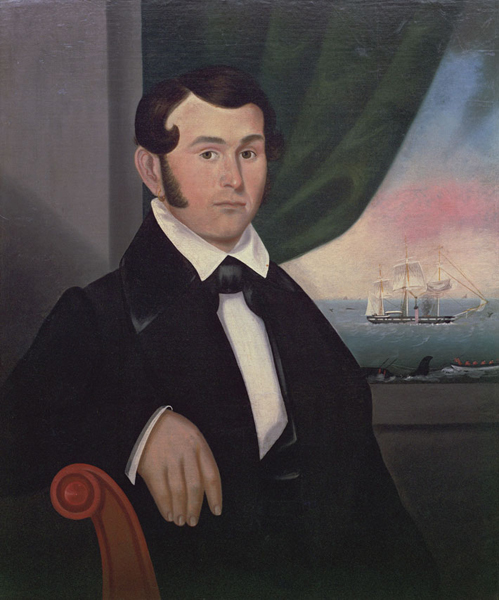 In addition, the collection houses significant examples of nautical folk art, decorative arts, nautical trophies, textiles, marine engines, ships figureheads, 20th-century maritime electronic innovations, and historic buildings. 1,650 paintings and prints, 1,600 nautical instruments, 1,150 ship models, 1,700 pieces of scrimshaw, 100 figureheads, from 1570-present [bulk 1830-1970]. Graven by the Fishermen Themselves: Scrimshaw in Mystic Seaport Museum by Malley, Richard C.
Marine Paintings and Drawings in Mystic Seaport Museum by Brewington, Dorothy E.R. Silent Pilots: Figureheads in Mystic Seaport Museum by Hamilton, Georgia W.